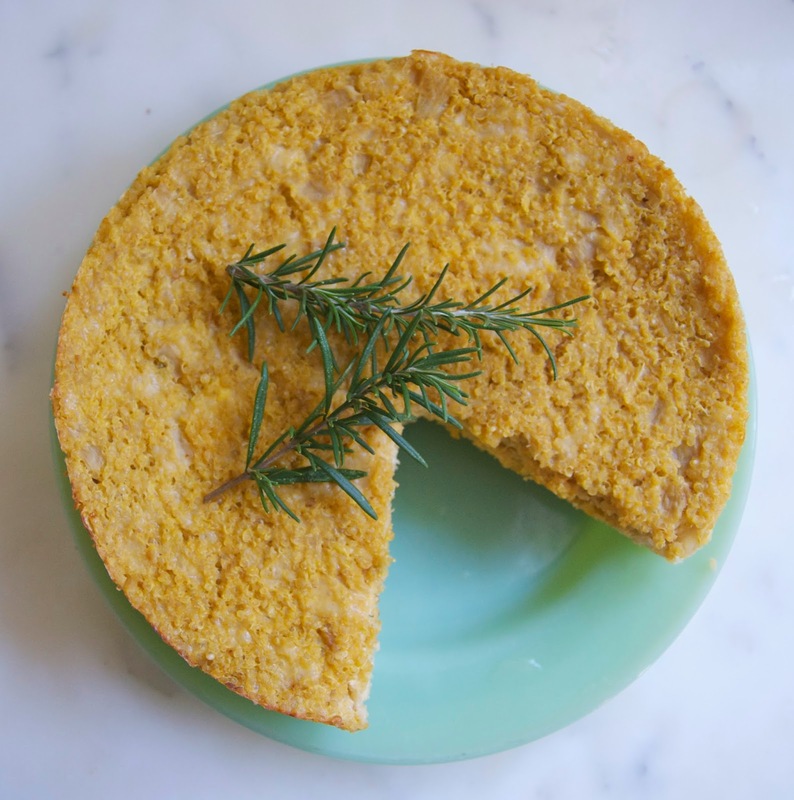 This is a savory sort of cake made from a quinoa "risotto". The original recipe belongs to Edmundo, the chef and Deli Manager where I work. It's so unique and delicious that I begged him for the recipe so I could make it at home. Plus, I wanted to substitute the dairy products for their non-dairy counterparts. He makes his "risotto" with quinoa much in the same way you make it with rice. He sautes some onion and garlic in butter and then adds the quinoa and water. I used some broth to give it a richer flavor. I would recommend that you make this in a pot rather than a saute pan. That way you can mix in the rest of the ingredients without having to use another bowl, one less thing to wash later. 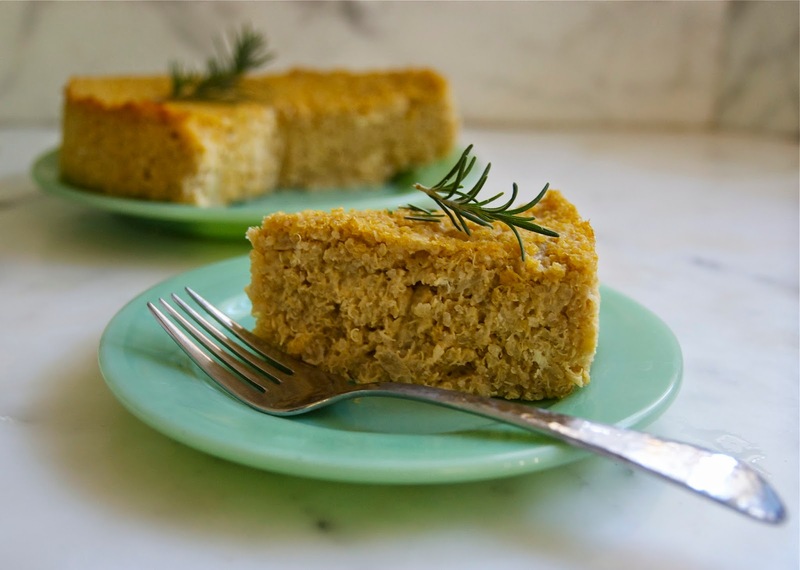 Then, he mixes the cooked quinoa with pureed butternut squash, cream cheese and Gruyere, before he packs it into a spring form pan and bakes it. I used non-dairy cream cheese (I prefer Tofutti brand) and shredded non dairy cheese. I also used less butter, to cut the fat calories. 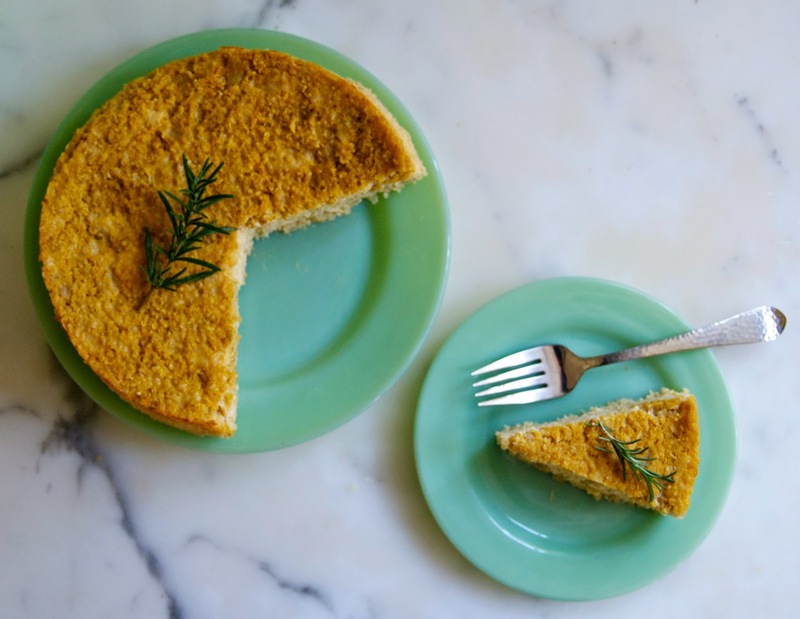 You'll need a cup of butternut squash puree. 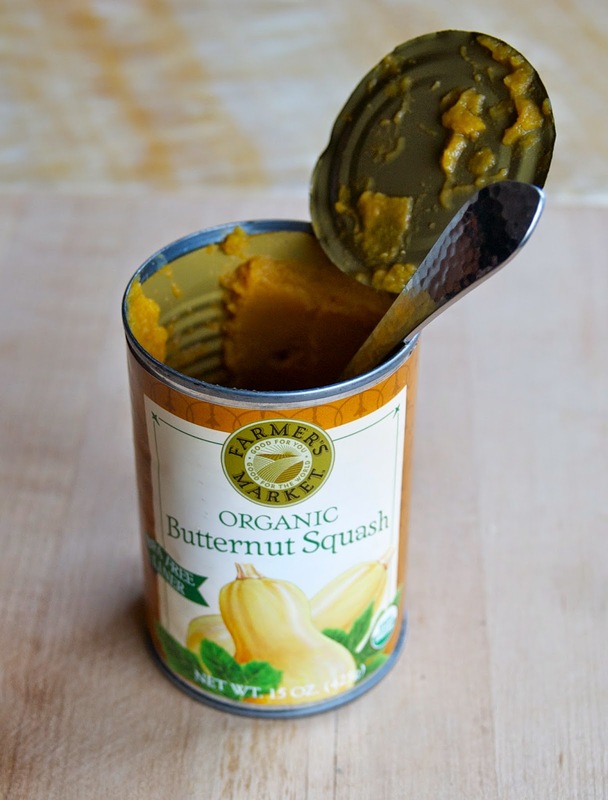 You can cook some squash yourself, or go the easier route and use this canned squash. That's what I did. 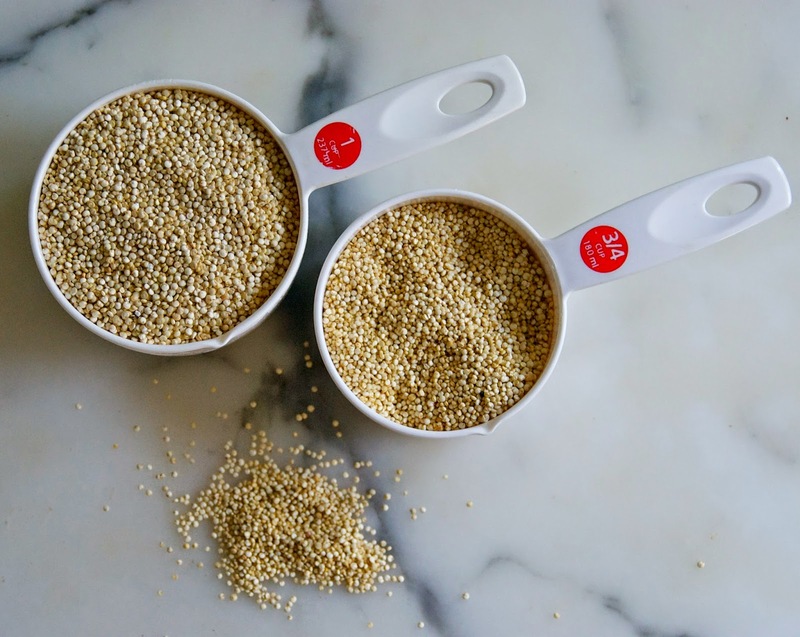 Quinoa (keen-wa) if you don't know it by now, is a small South American grain that contains all of the essential amino acids that make it a complete protein. You can eat this warm, right out of the oven, but it will be soft and a little difficult to cut. It a great recipe to make up a day ahead because it's best if refrigerated for at least a few hours before cutting. You can heat it up again before eating. I'm offering this recipe two ways. One, just the way Edmundo gave it to me, but cut down (he makes three at a time) and the second as a vegan version. Finely chop the onion and the garlic. Saute the onion and garlic in butter for 5 - 7 minutes. Add the quinoa and hot liquids and stir. Cover and cook for 15-20 minutes or until liquid is absorbed. Mash the cream cheese and squash together. Stir in the salt and pepper. Stir the cheese mixture into the quinoa. Grease an 8 inch spring form pan. 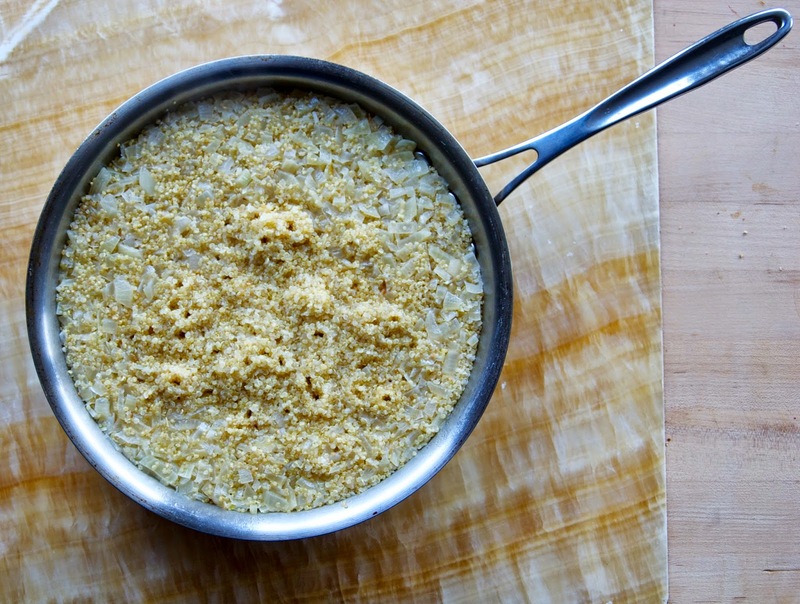 Put the quinoa risotto into the pan and press to level. 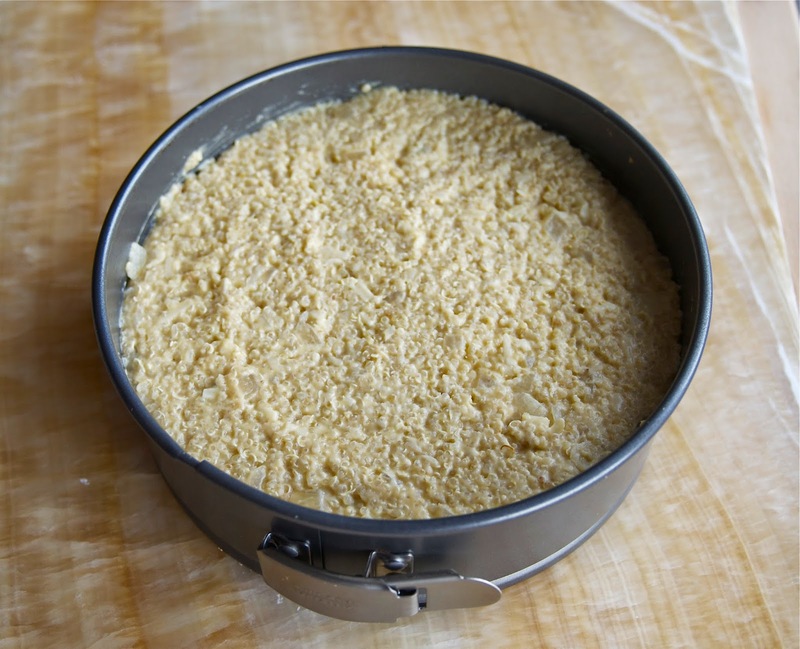 Allow to cool 30 minutes before serving or best if refrigerated at least 2 hours before cutting and reheating.